Jamie Cutler is a 21 year veteran in technology, consulting and corporate management. He has held leadership positions in the public, hospitality, technology and most recently the oil and gas sectors over his career. Today, Mr. Cutler serves as the Chief Information Officer at QEP Resources Inc., an S&P 500 Upstream Energy company based in Denver, Colorado. 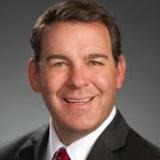 He previously held leadership positions with MarkWest Energy Partners in Denver and Dimension Data Systems. Among the many awards, certifications and degrees Mr. Cutler holds are: Computerworld Premier 100 IT leaders, 2014 Evanta Top 25 Breakaway leaders winner, finalist for the Trace 3 Outlier award and nominee for Denver Business Journal CIO of the year. He also holds the Cisco Systems Certified Interworking Expert Emeritus (CCIE) certification, Project Management Professional (PMP), ITIL v3 Expert designation and the Certified Information Systems Security Professional (CISSP). Check out the incredible speaker line-up to see who will be joining Jamie.